Bologans way to the Nimzo-Indian was very long and difficult. Which he now regrets a lot: “I would better start it when I was young. 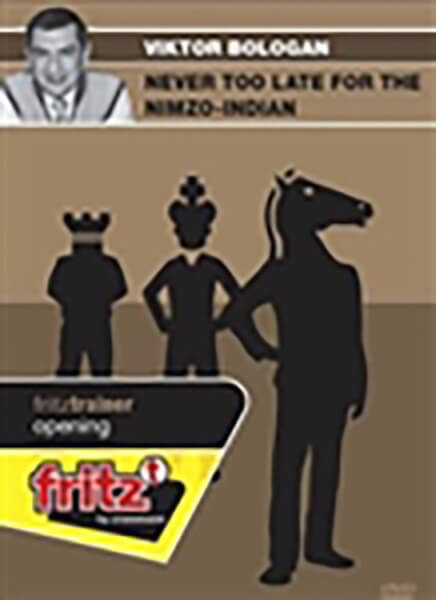 First I played only the King’s Indian against 1.d4, later I learned Black’s Knights Tango, which already had some elements of the Nimzo-Indian and only in the new millenium I included the Nimzo Indian into my repertoire.” This period coincided with the period of winning the Dortmund 2003 tournament, when he managed to hold with Black against Vladimir Kramnik in the decisive last round in a Nimzo with 4.Qc2. The Moldavian grandmaster recommends the Nimzo-Indian to players of all levels, because it’s complex and simple at the same time. It teaches one very important thing in chess - how to play with the knight against a bishop. The Nimzo- Indian therefore has the same importance as the Ruy Lopez after 1.e4. This DVD is aimed to give Black a clear idea what to do against 1.d4 Nf6 2.c4 e6 3.Nc3 which is considered the strongest move order by White. Video running time: 4 hours 14 min.